BONUS! nxtfstPodcast – Welcome to Nextfest! 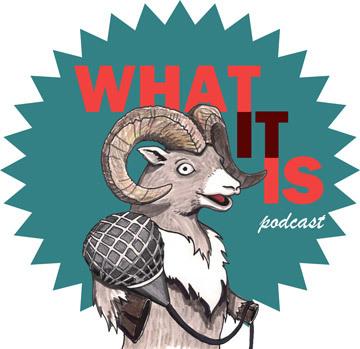 It’s a bonus ep from What It Is – during Nextfest 2017 visit nextfest.ca or follow along via the What It Is feed to stay up to date on everything Nextfest! In the first of our mini-sodes get the low-down on the huge festival and all of the amazing programming from the high-energy emerging artists of Edmonton, Alberta and Canada. In our first nxtfstPodcast ep we get the deets on the festival from newly appointed Festival Director Ellen Chorley and Festival Manager Maggie Baird. Get this ep in your ear holes and get down to Old Strathcona! Presented as part of the LunchPod Series at North West Fest 2017, Taylor Chadwick of What It Is hosts a panel discussion on Podcasting Your Passion with Erika Ensign of Beginner’s Puck and Steven Schapansky of Hockey Feels. The crew discuss their passion projects podcasts, why Edmontonians love hockey and the arts. Can the two compliment each other? Is our city too sports focused? Do we know the value of the arts? Check out the great discussion as part of North West Fest 2017!